You don’t need to be a master guru of eastern mysticism to recognize the sublime beauty of a Tibetan Buddhist Thangka. Simply take a close look at one of these traditional religious paintings, and you can practically feel your heart, mind and soul being swept away to a higher plane. The magic and mystery of this sacred art form is nothing less than mesmerizing. But the more you know about the stories and symbols that go into these rich religious paintings, the more respect you feel for the wisdom that they depict. Devotional Buddhists have special practices for creating a sense of sacred time and space, namely chanting and meditation. And though they don’t exactly worship idols, it is common for Buddhists and Hindus to create altars and decorate them with paintings and statuary to help maintain that sacred presence. Among the most powerful of such religious images are the Tibetan Buddhist Thangka paintings, part of a tradition that dates back roughly 1000 years. Thought to be a spin-off of the far older tradition of cave painting, these exquisitely decorated artworks are typically created to be light-weight and portable. Most often depicting a specific deity or bodhisattva, the monks and votaries paint these religious icons on silk or paper, which is further protected by a silk cover, and then rolled up like a scroll. Especially conducive to the nomadic or hermetic lifestyle, the devotee can travel with his Thankga and unroll it whenever he sees fit, for times of prayer and meditation, for example. I like to think of them as the bonsai trees of religious art. Originally, the Samurai warriors kept bonsai trees, which they could carry along on their extensive journeys. Something like a family member in their solitary lives, the Samurais cared for the trees and enjoyed a special connection with nature, wherever they went. As with the bonsai trees, the Thangka paintings are created with extraordinary care and attention. With a high quality Thangka, the finished work should inspire a sense of divine reverence, and that’s the same sort of devotion and concentration that the artists employ to produce these masterpieces. The variety of imagery in Thangka paintings has grown immense over the centuries, but traditionally, the artwork depicts a single Buddhist deity, a meaningful icon, or in some cases, a narrative scene. Probably the most common subject of a Thangka painting is the Buddha, who may appear in his ascetic, meditating form as Shakyamuni, or in his more portly and jubilant incarnation as the Laughing Buddha. But the variations go on and on, eyes open or closed, hands lifted or clasped in prayer. The possibilities are endless. Check out this brilliant Buddha Thangka on Amazon for an example. There’s no definitive, orthodox interpretation of the symbolism, but it depends more on the experience of the beholder. You cannot judge a Thangka painting by any objective measure, only by the sort of feeling it produces in you. If you are decorating an altar or shrine, you’ll want to consider the types of energy you wish to invoke, whether calming, invigorating, uplifting, transcendental, or something else. Besides the venerable Buddha, there are dozens of other deities and bodhisattvas in the pantheon. One of the most popular and frequently depicted is Tara, who herself has a variety of avatars. We generally associate Tara with mindfulness and meditation. The Green Tara, more specifically, invokes powers of protection from darkness, temptations and illusion. White Tara stands for health and longevity, as well as compassion. Here’s an example of a spectacular Green Tara Thangka on Amazon. Another highly revered bodhisattva, Avalokiteśvara represents the deepest embodiment of compassion. This deity can take either a male or female form, and very often appears as the goddess Quan Yin, frequently holding out a vessel to collect the tears of mankind’s sorrow. One of the most terrifying images to adorn the Buddhist Thangka is Chemchok Heruka with his twenty-one heads and forty-two hands. The Tibetan Book of the Dead speaks of the Hundred Peaceful and Wrathful Deities, and Chemchok Heruka is the most iconic of the 58 wrathful deities. He often appears in the presence of the 42 peaceful deities, including a panoply of buddhas, bodhisattvas and gatekeepers. Instead of depicting a personal deity, another type of Buddhist religious art involves some highly symbolic icons. The most common of these symbols are the Mandala and the Wheel of Life, and both are well worth meditating over. The Mandala holds a very special place in my own spiritual practice, and the first Thangka I acquired was a phenomenal Mandala painting from Bhutan. I have seen a few different explanations of this sacred geometric image, having to do with multiple worlds and layers of reality. But the following is my own interpretation of this cosmic symbol. Mandalas come in many versions, but generally they feature a small circle at the center, enclosed by a square (or series of squares), finally surrounded by a greater circle. I read this pattern as a metaphor for psychological and spiritual development. At birth we are in the small circle, at one with all things, unable to differentiate between self and other. This is the level of unconscious perfection. With time and age we learn, like Adam and Eve, to recognize the pairs of opposites. We enter the material world of squares, of us and them, heaven and earth, good and evil, the state of conscious imperfection. Finally, with concentrated spiritual practice, we strive to enter the realm of cosmic unity, where all things are connected and interdependent. This is the state of enlightenment, the grand circle of conscious perfection. And in most Mandala paintings, the outer circle is surrounded by a multitude of Buddhas and bodhisattvas, enlightened beings. A powerful symbol throughout world religions, but especially in the far east, Hindu and Buddhist traditions look the Wheel of Life as a representation of endless and ongoing reincarnation. Metaphorically, we can also think of the Wheel as a symbol of the ongoing back-and-forth struggle between desire and fulfillment, one of the chief themes in Buddhist philosophy. One of the primary goals of Buddhist spiritual practice is to break free from this arduous cycle. The cycle, after all, is based on the illusion (Samsara) that desire can be fulfilled and that fulfillment will bring satisfaction. In fact, we know from experience that the fulfillment of one desire only leads to the birth of new desires and dissatisfactions. The initiate must choose then, to break the cycle, or to accept its inevitability. The iconography in these Wheels of Life can be some of the most fascinating and intricate. Keep an eye out for the rendering of the Three Higher Realms, in the upper portions of the wheel, occupied by humans, gods and demi-gods. And then look at the bottom spokes of the wheel to find the Three Lower Realms, including the hells, the animal realm and the hungry ghost realm. Check out some of these stunning Wheel of Life Thangka paintings at Amazon. Less common, but more visually appealing for some, narrative scenes make up another genre of Thangka paintings. These works depict various scenes from eastern mythology, including the Mahabharata or the life of Lord Buddha. If there’s a particular episode from Buddhist or Hindu mythology that really resonates for you, you can probably find of beautiful Thangka painting of it somewhere. Maybe I just watched too much Gilligan’s Island as a kid, but there’s something about being surrounded by bamboo that I find very relaxing. 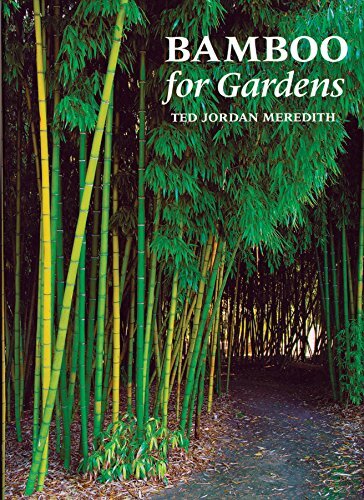 Whether it’s a thriving bamboo garden, an attractive arrangement of lucky bamboo, or a tasteful piece of bamboo furniture, it can really set the mood and create a sense of space. There’s no doubt that a little bamboo can do wonders for your Feng Shui, and nothing will do it better than a nice bamboo fountain. NOTE: To make shopping even easier, we’ve included some affiliate links in this article. Feng Shui experts agree that a well-placed fountain is one of the best ways to introduce a positive energy flow into your home or office. A good fountain can improve your Feng Shui in three basic ways. For years we’ve been using bamboo fountains around the house and in the store. And it doesn’t take a Feng Shui zen master to see how these water features improve the overall good vibes. Whenever a child comes into the shop, they almost always make a bee line for the bamboo fountain set-up. I’m not sure whether they see it first or hear it, but it never fails to captivate their attention. Maybe it’s the Chi, maybe it’s something else, but the wisdom of the child is absolutely tuned into it. Sometimes I like to add a couple water plants, and maybe one or two goldfish, to give the fountain even more life. This requires changing out the water more regularly, but it’s worth it. The vibrant plants and happy goldfish can bring priceless benefits to your Feng Shui. Also, it’s a good idea to used bottled water, because the city water (in my experience) tends to be very hard, so the calcium and minerals can muck up the water basin and the pump pretty quickly. If that happens, an old toothbrush and some vinegar solution will usually do the trick. With these factors in mind, let’s go ahead and take a look at a few of my favorite bamboo fountain kits. To make shopping easier, we’ve included some Amazon affiliate links in this article. Probably my favorite bamboo fountain, for price and simplicity. The five arms — three running in one direction and the other two running perpendicular — allow it to balance easily on a round or square container, and lend the fountain an interesting, elegant appearance. Ideal for indoor use. This kit includes the pump and the bamboo and takes about two minutes to set up. All you need is a medium sized bowl (about 12-18 inches in diameter) made from glass or ceramics. Do NOT use a bamboo or wooden bowl. As nice as it sounds, it will swell and crack from the water. For the construction of the fountain, this company uses a specific variety of bamboo (which seems to be a trade secret) that does not split in water. You’ll also need a place to plug it in, as the pump runs on old-fashioned electricity. The Five Arm Fountain is available from Amazon for easy delivery. Great in any container and perfect for outdoor use, this fountain makes an excellent addition to the zen garden. The kit is simple to set up and easy to attach to a bowl, barrel or pond liner. The height of the spout is adjustable, which means you have some control over the sound of the water: the higher the spout, the louder the splash. 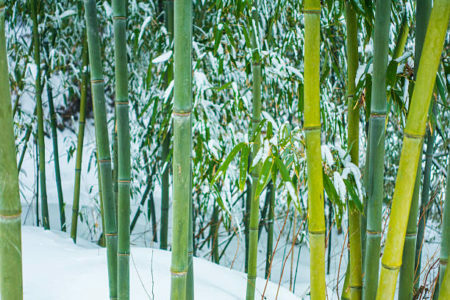 If you’re setting it up outside, try to keep it mostly in the shade, as this will preserve the bamboo by protecting it from prolonger, direct sun exposure. You’ll also need a place to plug in the electric pump, either an extension cord running into the house, or you can order this small solar power inverter from Amazon. Bamboo Accents makes a great line of bamboo fountains, each of them, including the 24″ Adjustable Fountain is available conveniently from Amazon. Also known as the Deer Scarer, because of the knocking sound it makes as it teeters up and down, this is another excellent fountain for outdoor use. The traditional design relies on the weight of the water as it fills one end of the fountain and causes it to tip over, spill out and swing back up. The kit is fairly simple to assemble, but with a little imagination you can cleverly incorporate it into a pond or other more elaborate garden setting. You will need a vessel or pond basin of some kind to catch the water as is spills forward from the front spout. From there, the water pumps back up to the top spout. The pump, hose, platform base and all bamboo parts are included in the kit. The Shishi Odoshi Rocking Bamboo Fountain is also available from Amazon. And for an outdoor electricity source, you might consider a compact solar power inverter from Amazon. There you have it. I hope these ideas help. It really doesn’t take make much add a little splash of Om to your home or a bit of zen to your den!